Ultrasonography is a routine diagnostic procedure used for assessing soft tissue characteristics in the human and veterinary medical fields of ophthalmology, cardiology, neurology, nephrology, obstetrics, oncology and orthopaedics. Because various forms of ultrasonography have existed for more than 50 years, it is surprising that this technology has only recently been applied to the study and management of wildlife species (Hildebrandt & Göritz, 1998; Hildebrandt et al., 2003). Nonetheless, there already is enough evidence making it clear that ultrasono-graphy, combined with other technologies, can address issues that directly impact the health and reproductive welfare of wildlife species. This chapter focuses on the relevance of this technique for assisting in the assessment of medical and reproductive health in the giant panda. 4. documentation of progression and treatment of pathologies. Ultrasonography is also playing a significant role in developing and using artificial insemination (AI), which plays a critical role in the genetic management of this species (see Chapters 20 and 21). This chapter is a compendium of information on experiences using ultrasound at two institutions, the Berlin Zoo and the San Diego Zoo. In 1981, the Berlin Zoo acquired a male giant panda (studbook, SB, 208) at the approximate age of three years. He was without a mate for 13 years before the arrival of a ten-year-old female (SB 378) in 1995. 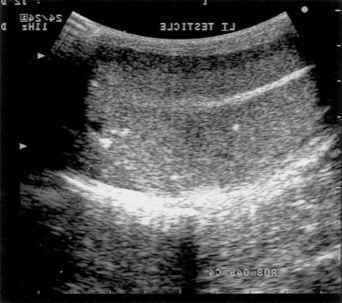 In multiple attempts to breed these individuals, ultrasonography was used extensively in reproductive and health monitoring. Ultrasonography has also been used similarly in four giant pandas at the San Diego Zoo (male SB 381 and female SB 371 who arrived from China in 1996; female SB 487 who was born at the zoo in 1999; and male SB 415 who arrived from China in 2003).